If you are a food lover then this Gift card for 3 Great Tastes will be the best choice for you. Buy Taco Bell – KFC - Pizza Hut Gift Card for you or your loved ones and make your lunch or dinner memorable at any participating *KFC®, #Taco Bell® or +Pizza Hut® restaurant in Canada except as prohibited by law. To check card balance go online to: kfc.ca, pizzahut.ca or tacobell.ca. Taco Bell – KFC - Pizza Hut Gift Card can be redeemed and/or reloaded at any participating *KFC®, #Taco Bell® or +Pizza Hut® restaurant in Canada except as prohibited by law. No value until activated. Taco Bell – KFC - Pizza Hut Gift Card can be redeemed and/or reloaded at any participating *KFC®, #Taco Bell® or +Pizza Hut® restaurant in Canada except as prohibited by law. No value until activated. Taco Bell – KFC - Pizza Hut Gift Card cannot be refunded, redeemed or exchanged for cash or replaced if lost or stolen, unless required by law. Purchases will be deducted from the balance remaining on the card. If the card is damaged, at the discretion of the issuer, the card may not be replaced or refundable. Treat this card like cash. 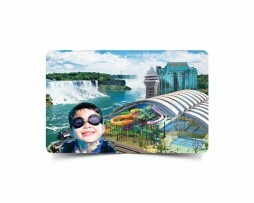 Cards may not be resold, used for any other commercial purpose or used in any manner other than indicated. See complete terms and conditions on their respected websites. Use of this card constitutes acceptance of these terms and conditions. To check card balance go online to: kfc.ca, pizzahut.ca or tacobell.ca.